In this edition of the Era Leader, Charles is mentioned three times. First, the newspaper wrote that Charles' health was improving. In the next paragraph his death was reported. June 5. Mr. C. D. Ott who has been very sick for the past week we are glad to hear this morning is much better. June 15. Hon. C. D. Ott died at his home last Friday at six o’clock after an illness of two weeks. The remains are buried in the Cemetery at Mt. Hermon Baptist Church last Saturday evening with Masonic honors, Rev. J. A. McCormack conducted the funeral services. A history of his life will be given later. 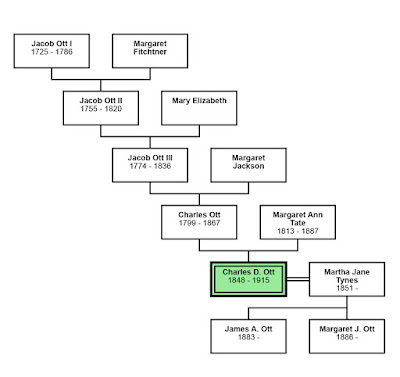 Mr. and Mrs. M. W. Ott attended the funeral of their uncle C. D. Ott at Mt. Hermon Saturday and remained over with the family thru Sunday. Source: Mt. Hermon Notes. (Franklinton, LA: The Era Leader, 17 June 1915) 3; digital image, Library of Congress, Chronicling America (chronoclingamerica.loc.gov: accessed August 2017). A month later a lengthy memorial was written summarizing the life of Charles Ott. In memory of Charles D. Vieman Ott, who died at his home near Mt. Hermon, June 11, 1915. The subject of this sketch was born on the 8th day of April in 1848 on the old Ott homestead in the Mt. Hermon neighborhood, though long before the community received its name. In his boyhood years there was but little in his life materially different from other boys; raised on the farm, however, there were some characteristics in his early life that marked him from most boys. One of them especially worthy of mention was that he would never tell a lie in his youthful escapades on the farm. When our mother wished to know the truth she would always ask “Vee”, as she always called him. He neither swore, used slang, drank whiskey nor used tobacco. The greater part of his education he received at the old Mt. Hermon school house. It was during his early school days that he began to show great mental capacity, for he easily outstripped all of his classmates in their lessons, being especially bright in mathematics. He was of a studious disposition, widely read, and was known as one of the best historians in the country. In his studies he was associated with Rev. W. E. Tynes, another very brilliant young man of the country, and from this a strong friendship grew up that has lasted throughout the years. In his young manhood he became very much interested in the political affairs of the country, having come to his majority about the time of the reconstruction when his state, Louisiana, was struggling to get free from carpet-bag rule. He became a staunch Democrat and was allied with the leading politicians of the parish and state. He was elected to the Constitutional Congress of 1879 and though among one of the youngest members of the convention, his work was highly praised by the members of that body and the leading journals of the state. He always sought the intellectual life, and was a member of the old Pickwick Club which was composed of the brightest light of the country, such as Judge T. E. Tate, Dr. J. J. Alford [Jeptha J Alford, 1830-1994], Rev. J. English, Dr. H. Pierce, and later Edward J. Young, a very learned man who came to the community as a teacher. At the meetings of the Club the world, social, political and religious history would be debated and “Charlie”, as he was always called, learned to hold his own with these men of letters. In the spring of 1870 he graduated in book-keeping in Dalbars Commercial College. The day he was offered a lucrative position as book-keeper for a very large and wealthy mercantile company, but preferred to stay on the farm. On April 26, 1882 he was married to Miss Mattie J. Tynes, daughter of Mr. and Mrs. T. J. Tynes of Mt. Hermon. This was a culmination of a romance begun at the old Mt. Hermon school house, a school house where many romances were begun in youth and ended in happy marriages. Though he never joined any church, he was a firm believer in the Cardinal teachings of the Bible. He joined the Franklinton Masonic Lodge when quite young, was a Past Master of the Lodge, and was a member of the W. O. W. Kentwood Camp. In the later years of his life he was surveyor and timber buyer and estimator, was vice-president of the Farmers’ Bank of Osyka, Miss., and to him is credited the saving of that bank from collapse and placing it under the guarantee law. Source: In Memorial. (Franklin ton, LA: The Era Leader, 29 July 1915) 2; digital image, Library of Congress, Chronicling America (chronoclingamerica.loc.gov: accessed August 2017). Do YOU still get Excited about Genealogy? As our family’s historians we turn the pages of old books in libraries, walk through almost forgotten cemeteries and scroll down long lists of names on websites. We take notes on index cards or notebooks or laptops. Our knowledge slowly grows one name, one fact at a time. Do YOU still get excited or is your research just the usual routine? When I first learned I could find out information about my family I was very excited. I shared my discoveries with my family, my friends, with anyone who was unfortunate enough to sit beside me. (Ha!) I was excited and I wanted to share that excitement. Are you still that excited about your discoveries? I recently decided to focus my research on the First US Census. This was the very FIRST US Census, approved on 1 March 1790 to count our early inhabitants for the purposes of taxing each state and paying off the expenses related to the Revolutionary War. On the first Monday in August the US Marshals mounted their horses and started on their nine-month task. The marshals and their assistants traveled through every county, town and city in the new country. I can picture those men on foot or horseback crossing streams and mountains, following earthen paths and avoiding dangerous animals to seek out the strong, independent early settlers of our country. The census takers were educated men who could read and write. They were organized and resourceful. 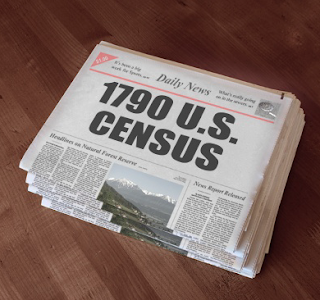 Did those early census takers walk into the home of your ancestors? In Jones County, North Carolina they walked into a home on the north side of the Trent River on the Black Swamp. It was the home of Edward Brown, my fifth great grandfather. He was sixty years old and had seven other people in his household. That excites me. Those first census takers, who were sent out across our country by our founding fathers stepped into the home of my 5th great grandfather, sat down on a chair or a bench and spoke to the man whose surname I share. 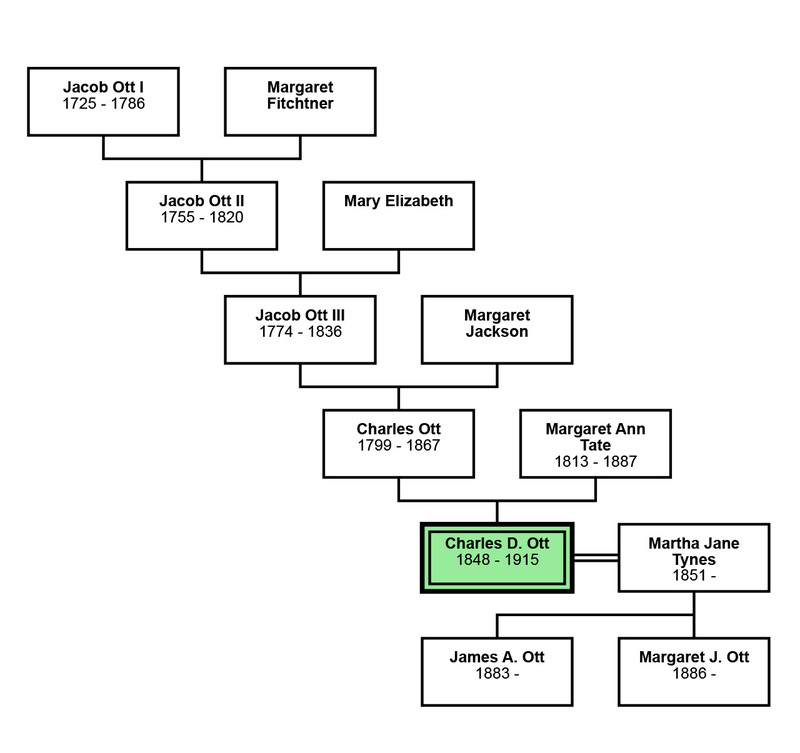 Two hundred and twenty-eight years later, I am excited that my family has a little connection to history! I will continue to go through my list of ancestors to find others who were visited by those first census takers. And as I learn those names I will share. Be careful if you plan to sit down next to me. Jeptha was a prominent figure in his community and he is mentioned in several newspaper articles. He was actively involved in the Farmers' Club. In this account he hosted the club members at his home for dinner and a meeting. Farmers and Farming Around Osyka. The Farmers’ Club met at Dr. Alford’s on the 15 inst., eight miles southeast of Osyka, Miss., and as usual they had an interesting meeting. Here farmers are steadily improving, and most of them are entirely out of debt. They have brought up, from New Orleans this season thirty-eight car loads of commercial fertilizer, and are using some Byram marl by way of experiment. They also use home fertilizers and plant cow peas pretty liberally. They take agricultural papers and inquire diligently for agricultural truths, and are more in districts than piney woods farmers are in most places. The dinner. The club was treated to a bountiful farmers’ dinner by Dr. Alford, and the members gave ample proofs that they appreciated it highly. And nearly every article on his table was made on his own farm. The doctor supplies butter for the Osyka market, and always has an ample supply of milk and butter on his table. He has just completed a nice dairy, and intends to steadily increase his number of cows till he has a hundred. He thinks the milk and butter and cows and cattle in the pine lands are profitable. The cattle here are now fat and in fine condition. Source: Agricultural and Industrial Notes. (New Orleans, LA: The Times Picayune, 20 May 1880) 2; digital image, Newspapers.com: accessed Sept. 2017. Recently, I found a newspaper account of a reporter traveling by buggy with my 2x great grand uncle. 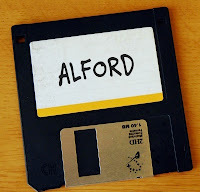 Jeptha J. Alford, MD. I like the descriptions of the pine forest where he lived. Their usual routes were deluged by recent rain but they traveled the area to visit a neighbor and fellow Grange member. This is not the complete article. I focused my transcription sections concerning my uncle and the area where he lived. On the 11th inst. Dr. Alford took me from his house, eight miles east of Osyka, as far as the Tangipohoa bridge, two miles from Osyka. Here we came to a halt, water-bound – no travel in buggies between the bridge and the town. The late rains deluged the low lands and connected all of the ravines into water courses, all sending their waters toward the Tangipohoa. As we could not “go West” we concluded to go East, about four miles, and call on the first Master of the State Grange of Louisiana, H. W. L. Lewis. We found him at home busy on his farm, as usual, for he is now Secretary of the State Grange, and Dr. Alford is Lecturer. SO we had some Grange talk and laid out some Grange work. In going from Mr. Lewis’ farm to Dr. Alford’s we traveled on three sides of a triangle near twenty miles in a pine forest. In nearly all of these forests back from the railroad a few miles, and back from the navigable stream, the pines are numerous, tall, straight and many of them large. Few of these trees have been cut, only here and there, for rails, three foot boards, shingles and garden pickets. These magnificent pine forests, that extend from Texas through Louisiana, Mississippi, Alabama, Georgia and the Carolinas, to the Atlantic shore, hundreds of miles, in places 150 miles in width, most of them stand as they stood here a hundred years ago when Indians and wild game roved through them almost entirely undisturbed by the white man. These forests, we hope, before many decades pass, may be in part converted into beautiful farm cottages, barns and other farm buildings and fences, into factories, mills, school houses and other improvements which thrift and industry and an increase in population will bring about. Source: Dennett, D., Among the Farmers. (New Orleans, LA: The Times Picayune, 19 April 1883) 9; digital images, Newspapers.com: accessed Sept. 2017. 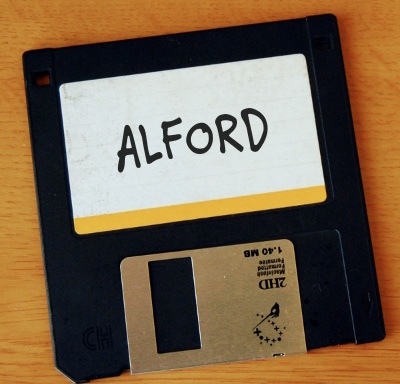 I like the picture this article paints of the area where J. J. Alford lived. We have pine forests in the northeast but I did not know there were also pine forests in the MS, LA area. The reporter, from his viewpoint in 1883, was hoping for more of those pines to be cleared. From my viewpoint, many years later, I hope many of those pines still stand.